I hope the UN, AU and other international bodies arise and put an end to this injustice against humanity. Slave trade should not have a place in 2017. 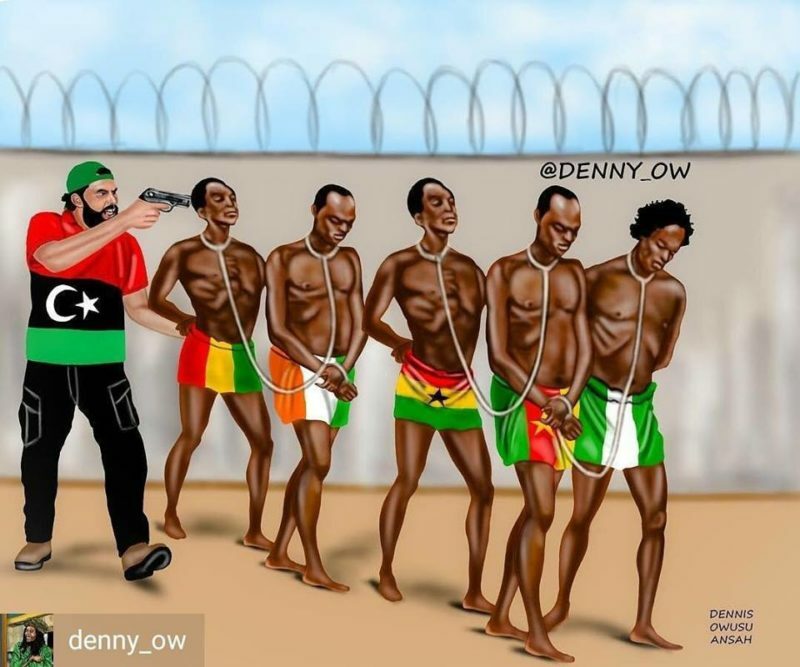 While we raise our voice against slave trade in Libya, let’s not forget the ones happening right under our nose. Remember, the beggars on the street who are used by their masters to beg money. They work from dawn to dusk without rest. They don’t go to schools. They don’t eat good food. They don’t wear good clothes. They’re tortured over the slightest mistake. Let’s not forget employers who force their employees to work 7am to 10 pm. Because to them, they’re doing the employees a favor to even employ them. Slave trade is evil and we must condemn it in all levels.